The Gujrat Fort was built in 1587 or 1597 by the mughal emperor Akbar. It reflects the beauty of mughal architecture. At that times, walled city of Gujrat was located within four gates. At night, the gates were closed and nobody was allowed to enter inside the city. The names of these main gates are Shahdaula Gate, Dhakki Gate, Sheeshiyanwala Gate and Shah Faisal Gate. Out of Gujrat Fort's four historic gates, only Shahdaula Darwaza (gate) has survived the ravages of time while all the other three gates have been ruined over time. Now there are no physical signs of these gates and the names are assigned to the places instead of any actual gate. Shahdaula Darwaza, named after famous saint Kabiruddin Shahdoula Daryai is located in the East. 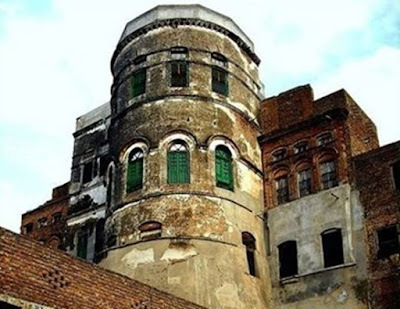 Dhaki Darwaza is located in the West near fawara chowk. Dhakki means top of the city or area. 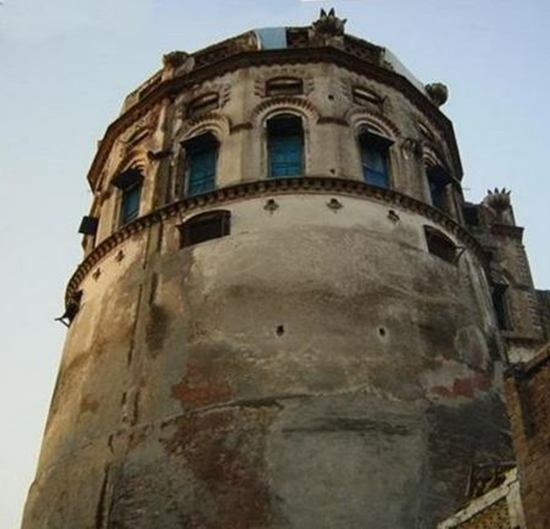 Shishianwala Darwaza was famous for the glass work carved on its roof. However, Professor Sharif Kunjahi, a local historian, argues that the word “Shishi” is a Scandinavian word for graveyard. Hence, there would have been a graveyard near the gate and the name stuck to it with the passage of time. It is located in the North. Old name of Shah Faisal Darwaza was Kalra Gate, named after three villages named Kalra in the South.